The cost of any surgery depends on what type of surgery the patient wants and where they want it performed. Most clinics claim that they offer LASIK surgery from £395, and wave front guided treatment from £1,500. These prices change depending on the complexity of the situation and the location. What are the Different Eye Surgery Costs? Epi-LASIK is a modified LASIK procedure that is performed only by renowned clinics that also have the required operating equipment. This type of surgery goes costs around £800 for each eye. This fee is inclusive of aftercare. For those willing to have the interlace LASIK procedure which is bladeless, they would have to be ready to part with around £1,695 for each eye. These prices vary from clinic to clinic and some include aftercare expenses while others do not. Photo refractive keratectomy (PRK) is another surgery that goes for about £700 to £1000 for each eye. This fee includes the costs associated with aftercare. Laser Thermal Keratoplasty or LTK is a corrective procedure that costs £1,000 for each eye whilst the PTK has a similar price of £900 per eye. For those with Tesco Club card vouchers, it is possible to get the surgery that you need at a reduced price. Tesco points can earn many discounts if you have enough of them. These £5 store vouchers are worth £15 on laser eye surgery. 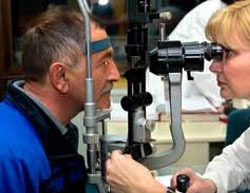 Discount vouchers are one way of reducing eye surgery costs as far as laser surgery is concerned. For those clinics that experience last minute cancellations, ringing them and asking whether they give discounted prices for eye surgery is a worthy endeavour, because some do! Other medical institutions would be willing to fill in their empty appointment slots with basic epic-LASIK treatment at a discounted rate. Some websites pay patients in the event that they book through them. To do this you must set up a free account through which you may eventually get a pleasant financial surprise. Websites such as Quidco or Topcashback give users money for making transactions such as payments or signing up to insurance policies using their websites. Another eye surgery cost cutting measure is signing up for laser eye websites such as Centre for Sight, Optimax, Optical Express, Accuvision, and Ultralase. These websites mail their members information concerning laser eye special offers and big deals. To avoid falling into a trap adequate background research is important. Eye surgery costs depend on many factors yet the location of the clinic providing the procedure as well as the type of eye surgery the patient intends to undergo are the most important of them all. If you like the idea of cutting down some of your eye surgery costs, have a look at your options and decide which one is most likely to work in your case.